Of consumers asked, 59% said they have higher expectations for customer service now than they had a year ago, according to the 2018 State of Global Customer Service Report. And when asked if the process of engaging with customer service to get questions answered is getting easier, only 39% said yes. Intelligent text messaging for customer service can improve the customer experience while reducing customer effort. According to the report, the most important aspects of a good customer service experience are getting the issue resolved in a single interaction and knowledgeable agents. It follows that the most frustrating aspect of a poor customer service experience are agents who lack knowledge and the ability to resolve the issue along with the customer being asked to repeat information multiple times. Customer experience is gaining in prominence over both product and price in terms of customer satisfaction and loyalty. However, Dimension Data reports that nearly 80% of contact centers say their current customer service systems won’t meet their future needs. As customer preferences change and reliance on mobile devices grows, incorporating text messaging for customer service can help you gain the “big-picture view” of your customer’s history with your company enabling better, faster service. Since Forrester Research finds that 77% of people say that valuing their time is the most important thing a company can do to provide them with good service, messaging should be on your short list to reduce customer effort. An intelligent text messaging platform is designed to allow agents to engage in messaging conversations with more than one customer at a time. Traditional phone call resolution requires agents to work on one customer call at a time. An SMS text message can be up to 600% less expensive than a phone call and the ability to handle more customer conversations simultaneously boosts agent productivity to handle a higher volume of service requests with the same headcount. Customers say waiting on the phone for an agent is one of the most frustrating parts of the customer service experience. Intelligent text messaging can combine automated and 1:1 messages to instantly respond to your customers—removing that frustration. Customers are also frustrated by having to repeat information to agents. An intelligent text messaging platform records the entire conversation of what’s said by both parties. Because text messaging conversations are asynchronous, if the conversation takes longer and a new agent must respond, all the information about the customer’s history is on the screen providing the big-picture view that enables them to respond in context, on the spot, and within that single conversation. Nearly 90% of consumers have a more favorable view of brands that give them the opportunity to provide feedback. However, 37% of customers say they’re only asked occasionally for their thoughts. Text messaging for customer service gives you the opportunity to solicit feedback during or after every service conversation. This can be as simple as an NPS survey or as comprehensive as asking open-ended questions to understand their feedback in context—whether automated or exchanged 1:1 between the agent and customer. 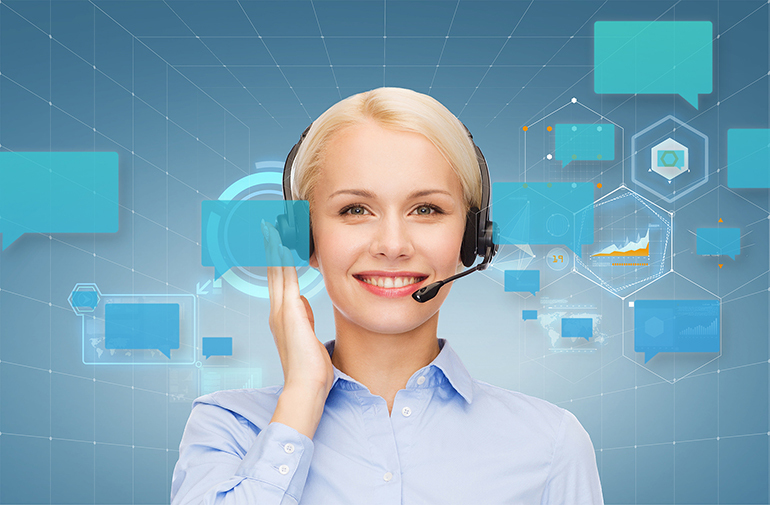 Many contact centers are reducing call volume by providing self-service options via a website or portal to help customers resolve their issues themselves. However, sometimes this can be frustrating to customers who must sift through a lot of information to find the answer to their question. An agent in a texting conversation can send the customer a link directing them to just the information they need, instantly, reducing their effort. The automated workflows provided by an intelligent text messaging platform can also allow your contact center to provide proactive outreach based on triggered alerts. These could be set to notify customers of product or policy updates, upcoming renewals, newly available products that complement products they already own, and more. Reducing customer effort is paramount for improving customer experience. While this means doing so across the customer lifecycle, a reduction in effort to obtain customer service is a great focus that will payoff for your company. Customer experience is becoming table stakes for every company. And today that means instant and on-demand. Text messaging for customer service delivers that in a convenient and low-friction manner that will delight your customers and show them how much you value their satisfaction and loyalty.